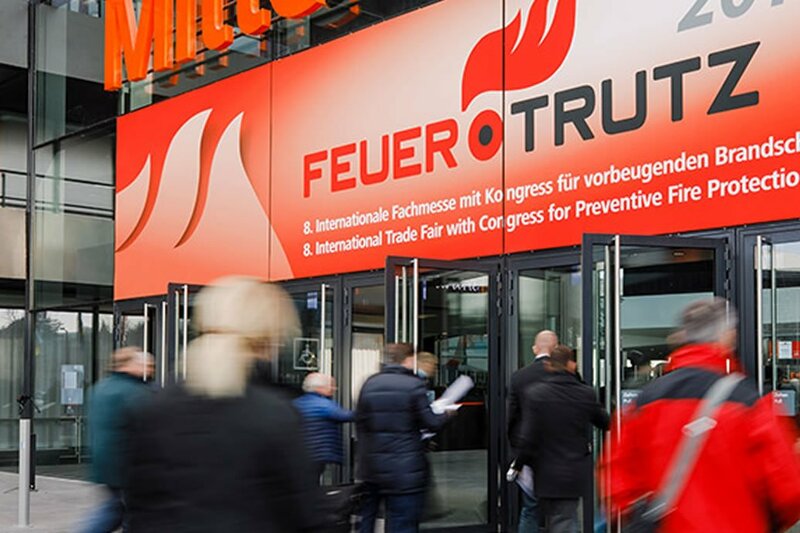 Welcome to our FeuerTrutz 2019 Preview where more than 300 exhibitors, around one in five of which come from outside Germany, are expected at FeuerTrutz 2019 on 20 and 21 February. As a result, the trade fair focusing on active, passive and organizational fire protection solutions is still on the fast track to success. As well as a comprehensive market overview, visitors to Exhibition Centre Nuremberg can look forward to an even more extensive supporting programme. Industry experts will gather for knowledge transfer at the accompanying fire protection congress, where the spotlight is on fire protection concepts, technical regulations and issues relating to standards. The prestigious fire protection congress on the theme “Realising fire protection goals: concepts and solutions for standard and special buildings” takes place parallel to the exhibition. In three congress tracks, more than 35 experts will speak about the most important current topics in the fields of active, passive and organisational fire protection and will then answer questions from participants. The focus will be on fire protection concepts for special buildings, how the German states are dealing with the MVV-TB (Model Administrative Provisions – Technical Building Code), questions on technical regulations and a discussion of the second escape route. “In addition, the congress provides scope for important debates on the political and economic environment of the sector. It is a recognised forum where participants can also engage critically with their own specialist subject matter,” says Günter Ruhe, Managing Director of FeuerTrutz Network.